Walking Through Fog: "Can you help me?" I hate asking for help. Honestly, if I can find a way (however inconvenient or bizarre it may be) to do things on my own, typically I do. This may range from any number of things such as: moving heavy furniture, extensive work projects where I don't really know what I'm doing, driving long distances to pick up and drop off people, carrying things, and the list could go on, but it would probably get too specific. Suffice it to say, I like to do things myself. Like the proverbial toddler who takes 5 times as long to tie his shoes and stand up as it would take his mother to tie his shoes for him and carry him to the car--I metaphorically yell "I do it myself..." to the world and send a message of "beware" to any who would attempt to intervene. I think some of this has to do with being an American and probably with being raised fairly conservative. I tend to fall on the side of people who idolize the American dream as not just having financial success, but having whatever I get as a result of my own hard work. Nothing is good enough if I didn't earn it myself, carry my own weight, keep up with the pack, don't drag others down, etc. There is an entire subculture of America that makes being self-sufficient a "Christian" thing to do. How did that come about? Does the Gospel look AT ALL like something you accomplish for yourself? Or something you deserve? Not in my Bible. Strangely enough, it is the exact opposite that is reflected in the pages from the very beginning to the very end. It is simply grace that allows us to take part in his story. 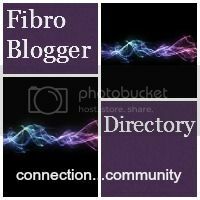 So, why write about this topic on a blog about being a Christian with fibro? I'm so glad you asked... ;) What if, God gave certain of us believers these chronic, painful diseases and conditions so that we could be used to glorify him and help edify the rest of the Body of Christ (i.e. the healthy Christians)? What if part of our role as believers is to help and be helped by other believers? How can grace and mercy and compassion be shown to a community of people who all pretend they are fine and self-sufficient so that nobody looks down on them? There is no shame in needing help. In fact, there can be danger in being unwilling to ask for help, because problems get hidden instead of solved, and people suffer silently unwilling to admit their struggle. The Body of Christ was designed to both accept and to extend help, as an arm might help compensate for the other arm if it happened to be injured. Our theology on salvation may be technically correct, but we have at large embraced a practical methodology that supports the idea that you may enter the Kingdom under grace, but once you get there you have to keep your place by works. 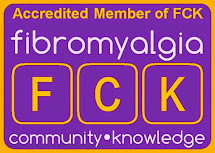 Chronic illness makes requesting help even harder, because it is not a one-time thing. People may be happy to help you once or twice, but when your needs become chronic along with your illness, and you begin to feel weak and helpless and like a drain on society; that is when you have to hold on to the truth that asking for help is not a shameful thing to do. I can't say anything to make it easier to ask for help, but I can urge you, my sisters and brothers in the Faith, to strive for a community of grace that encourages and embodies the love and understanding necessary to support those who are dealing with sometimes devastating and debilitating conditions on a daily basis. Let's put aside our instinct to judge each other and look down on each other or on the flipside to avoid asking for help due to pride or fear of judgment. Stop trying to be an island, and grow into the Body joined together by ligaments and joints. We are the hands. We are the feet. Let's get walking.